In a news conference following a hearing to present Patrick Frazee with formal charges in the murder case against Kelsey Berreth, who has been missing since Thanksgiving. 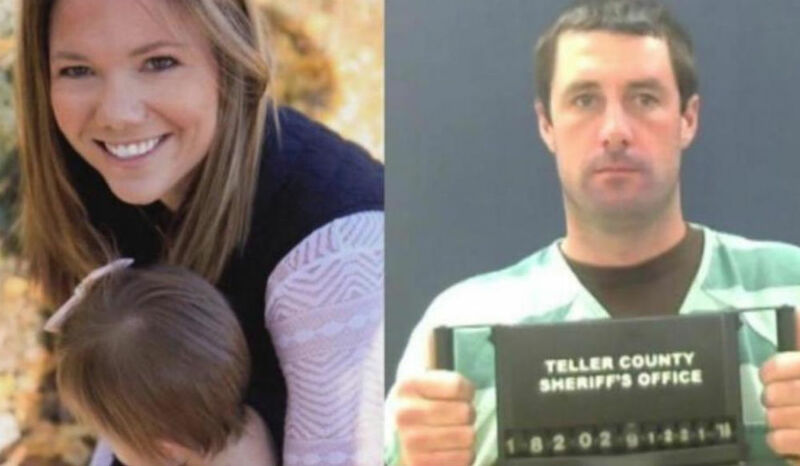 As CrimeOnline previously reported, Frazee was formally charged with five counts on Monday morning: Two counts of first-degree murder and three counts of solicitation of first-degree murder. Teller County District Attorney Dan May explained the multiple charges at a news conference following the hearing, pointing out that the two counts of first-degree murder were based on evidence supporting two theories; that Frazee premeditated the murder of his fiancee and mother of his 1-year-old daughter, and that Frazee killed Berreth during an attempted robbery, also premeditated. In response to reporter questions about the three separate solicitation charges, May said he could not publicly identify any individuals associated with those charges, but said they were not based on separate theories. May said the three charges were “self-evident,” insinuating but not explicitly stating that they may refer to more than one person Frazee allegedly solicited in a conspiracy to murder Berreth, who has not been seen since Thanksgiving Day. At minimum, the charges appear to reference three separate incidents of solicitation although the number of individuals involved is not clear. May also elaborated on a prosecutor motion filed Monday for “consumptive” testing of evidence. May explained that this meant there is a evidence that is in such a small quantity that it will be destroyed or no longer exist once it is analyzed for forensic purposes. The type of evidence referred to in the motion is not yet known. A hearing is set for Friday to rule on the evidence testing motion. Frazee did not enter a plea on Monday but is expected to at a January 29 court appearance.